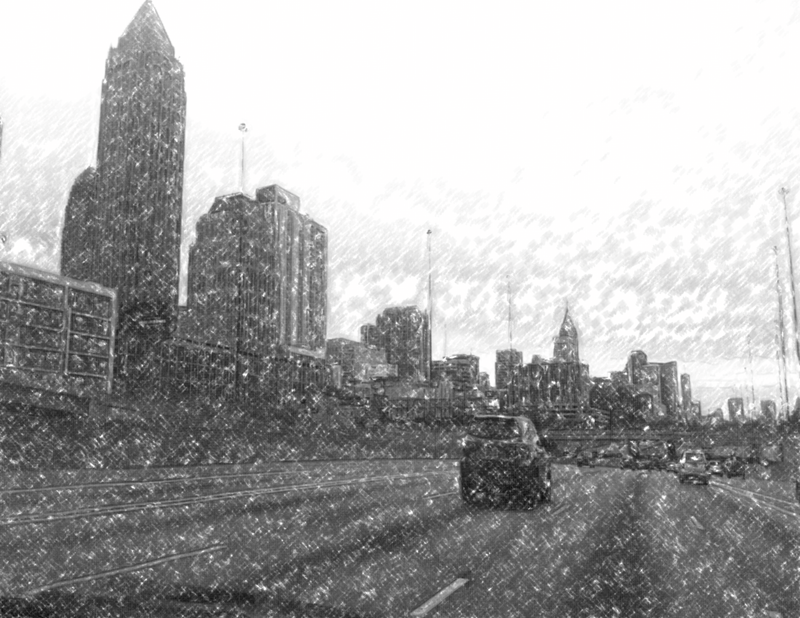 What you see above is an actual pencil sketch I did based on a photograph on my phone of the Atlanta Skyline, as seen riding in traffic, very early in the morning… before it becomes insane. I was supposed to be resting my eyes this weekend, but I found the original photo on my phone, and in a dimly-lit room sketched this based on it. I hadn’t held a pencil in months, but a couple of hours and many hand cramps later, I had this. Of course, then I had to hook my scanner back up for the first time in over a year, so I could get this image into the computer to share it with you. Having done that, I couldn’t resist the urge to paint over it digitally in an attempt to capture the weird early-morning colors of the original scene. 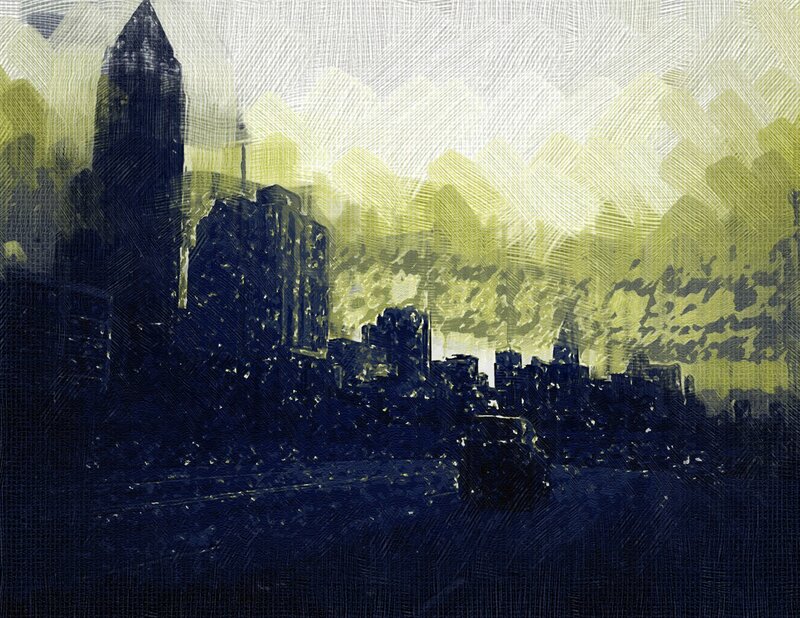 That digital painting came out okay, so you can see it at the bottom of this post. But the one on top is the one I’m happiest with. You can click both of them for a closer look. Meanwhile, Monday on The AIR, 7 AM sees a mini-marathon of Prognosis, our progressive rock showcse, hosted by Herman Linte, which comes at you for eight hours. Then at 3 PM you can settle in for eight hours of great New Wave music with Sydney’s Big Electric Cat. At 11 PM you can spend you overnights with eight more hours of the best Progressive Rock of the last half-century on Prognosis. It’s like a Big Electric Cat sandwich, with Prognosis as the bread.